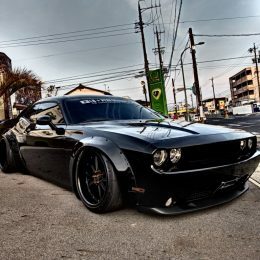 The last decade has seen the world go ‘Muscle car mad,’ with Detroit’s heavies raiding their respective back catalogues to create modern day interpretations of the cars that made them such massive global players in the first place. This means we’ve seen a re-run of the classic late ‘60s face-off of Ford Mustang Vs Dodge Challenger, and these modern muscle cars are every bit as loud, proud and powerful as their illustrious forbearers. 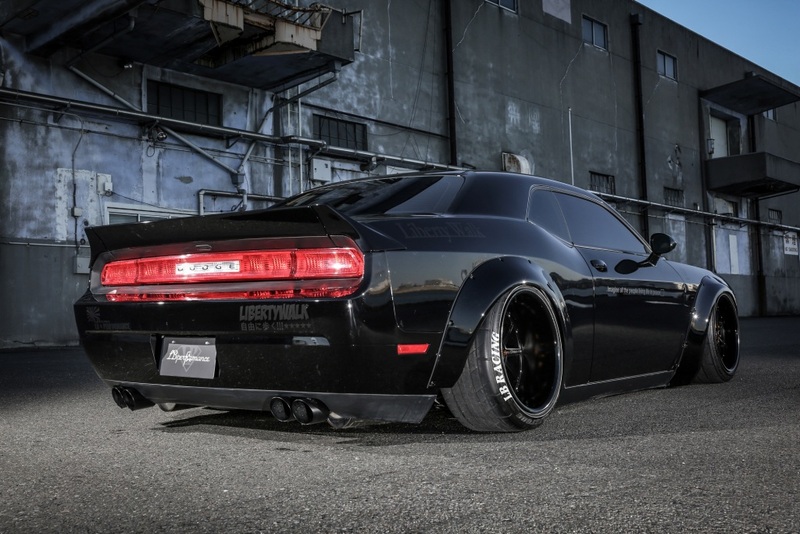 Liberty Walk, the go to name for jaw-dropping, stand out bodykits for some of the greatest cars in the world, has just announced a brand new kit for the Challenger, details of which can be found below. As you might expect of a firm that’s built its reputation on raw aggression and over the top styling, the new kit is not for the faint hearted! 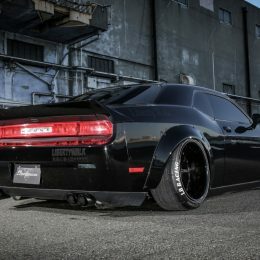 Challengers fitted with the firm’s new Works kit will have the power to stop traffic, slacken jaws and make even the loudest and most in-your-face of supercars cower, so it’s ideally suited to this stunning slice of modern day Americana. 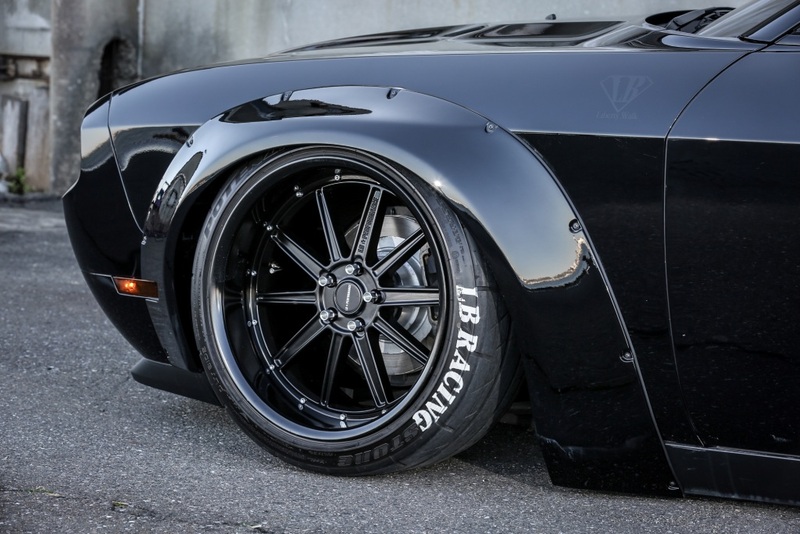 Liberty Walk’s all new Works kit is formed from high grade glass-reinforced plastic (GRP), a material that’s malleable enough to be formed into wild, extreme arches, scoops and intakes, yet strong enough to shrug off the hustle and bustle of modern day driving. 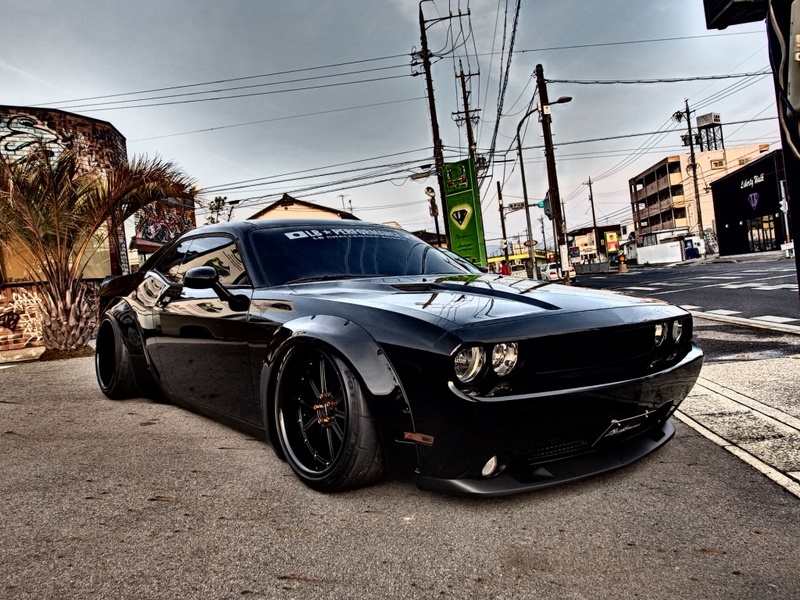 The kit features bulging arches, a jutting front lip, and a mean-as-hell ‘ducktail’ spoiler, enough to gift this already menacing car with levels of latent aggression that are hard to put into words. 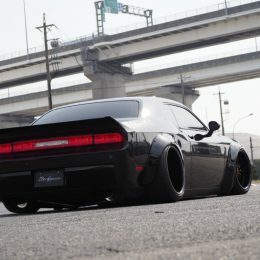 The kit is also completely customizable, allowing Dodge owners the option of buying the whole kit, the whole kit minus the front lip, or just the front lip or rear spoiler, giving scope for them to create a truly unique looking car. 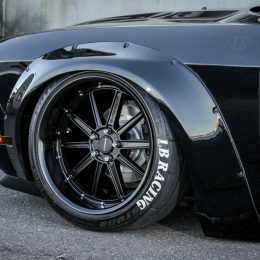 The extreme nature of the kit and the work required to fit it means that Liberty Walk’s latest creation can be fitted to all specifications of Challenger. 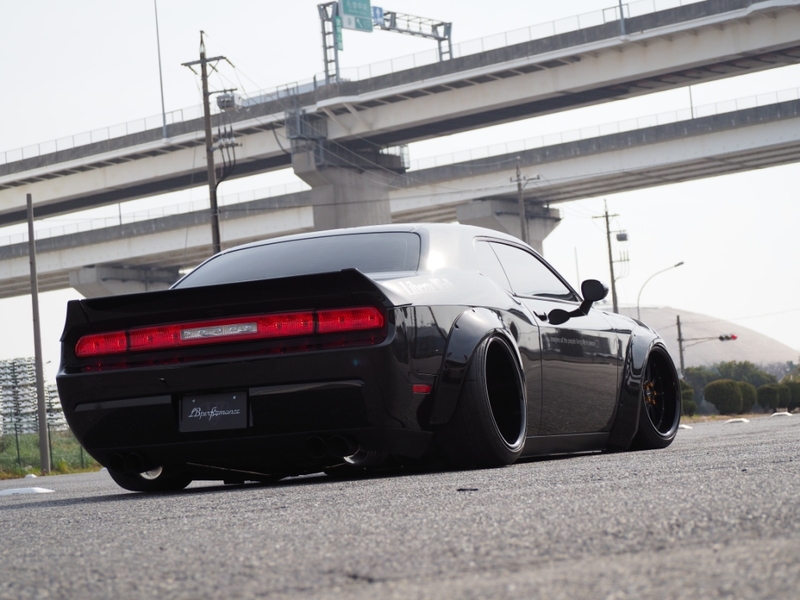 The kit embodies all that’s great and good about Liberty Walk, and it has been painstakingly developed to fit the big Dodge precisely, accentuating its arches and aggressive styling traits. 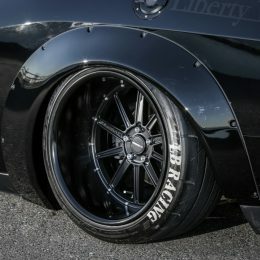 The complex design process employed in the creation of all Liberty Walk products ensures that fitment should be a straightforward affair for any trained bodyshop, while the end result is all but guaranteed to stop traffic and draw admiring glances left right and centre, particularly when paired with AirREX digitally adjustable air suspension. 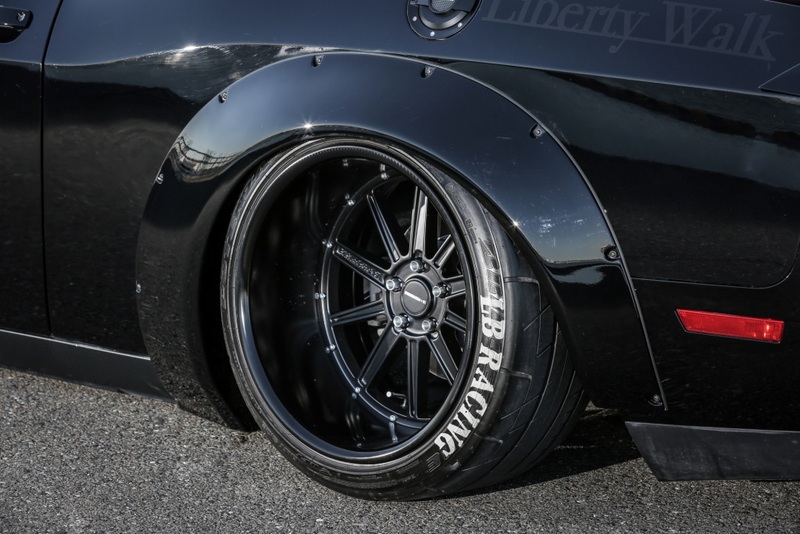 Liberty Walk UK has these kits available from stock for immediate delivery.